CarGurus has 2,770 nationwide CC listings starting at $2,900. Back in 2009, Volkswagen decided to make its high-end Passat sedan swoopier, sleeker, and sportier, and the result became the Volkswagen CC. 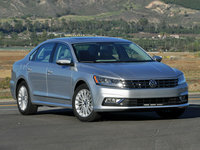 The 5-passenger CC sedan returns for the 2016 model year pretty much unchanged from the current edition, though there is a new entry-level 2.0T trim called the Trend, and an upgrade to VW’s Apple-designed Car-Net infotainment that allows the system to interface with smartphones. A new driver assistance package that includes adaptive cruise control, lane-departure warnings, and forward collision warnings and braking also debuts for the 2016 season. 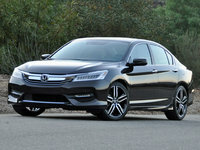 With the addition of the Trend, this midsize luxury-oriented sedan comes in 4 front-wheel-drive-only (FWD) 2.0T trims: the brand new Trend, the up-featured Sport, the sporty R-Line, and the top-shelf Executive, while the full-time all-wheel-drive (AWD) CC V6 Executive 4MOTION returns for 2016 as the flagship trim. The CC remains a rival to posh models such as the Audi A4, the Acura TLX, the BMW 320i, and the Lincoln MKZ, but most reviewers opine that VW's midsize 4-door lacks the cachet of its challengers. The 2016 CC does, however, offer a handsome profile, an understated and elegant cabin with a wealth of standard creature comforts (even in the lower trims), and a healthy 13.2 cubic feet of trunk space. Look for the 2.0T Trend, Sport, and Executive trims to pack a 2.0-liter turbocharged inline 4-cylinder (I4) powerplant mated with either a standard 6-speed manual transmission or an available 6-speed auto-manual gearbox (DSG) to put out 200 hp and 207 lb-ft of torque. 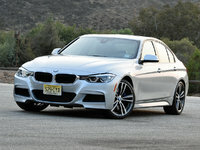 The auto-manual shifter is slated to return with a Sport mode that adds a little kick, and mileage is again expected to come in at 21 mpg city/32 highway/25 combined in manual trims and 22/31/25 in those 2.0T trims with the auto-manual transmission. Meanwhile, the AWD-equipped V6 Executive 4MOTION keeps its 3.6-liter V6 engine with the non-DSG 6-speed shiftable automatic transmission for 280-hp and 265 lb-ft of torque. But with its extra cylinders and standard AWD, the V6 Executive 4MOTION will doubtless remain estimated at a much lower 17/25/20. Look for VW’s 2016 CC lineup, depending on the selected trim, to offer exterior features like 17- or 18-inch alloy wheels, trim-specific exterior styling cues, and heated power-folding exterior mirrors. Inside, expect the 2016 CC lineup to offer leatherette or leather upholstery, full power accessories, heated power-adjustable front seats, cruise control, telescoping tilt-wheel steering, an auto-dimming rear-view mirror, a rear-view camera, and dual-zone automatic climate control. As noted above, all 2016 CC trims are slated to carry upgraded Bluetooth-integrated Car-Net telematics with a new 6.3-inch MIB II touchscreen display that includes smartphone apps and internet radio capability. All this is complemented in lower trims by a CD/MP3 player with 8 speakers, satellite radio, and an auxiliary audio input, while the 2016 Executive 4MOTION sports a standard 10-speaker premium audio system. Higher-trim features should also be available as options in the lower trims, including the Executive 4MOTION's driver-assistance package. Standard safety equipment expected to return for the 2016 CC lineup includes 4-wheel antilock brakes (ABS), traction and stability control, front side-mounted thorax airbags, front and rear head-protection airbags, and daytime running lights. All 2016 CC trims will also offer turn-signal-integrated mirrors, adaptive high-intensity-discharge (HID) headlights, Car-Net emergency alerts and communications, a post-collision safety system, and a remote antitheft alarm. Higher trims are slated to keep front fog/driving lights as standard equipment. The 2016 CC is scheduled to show up in dealer showrooms in late summer of this year. 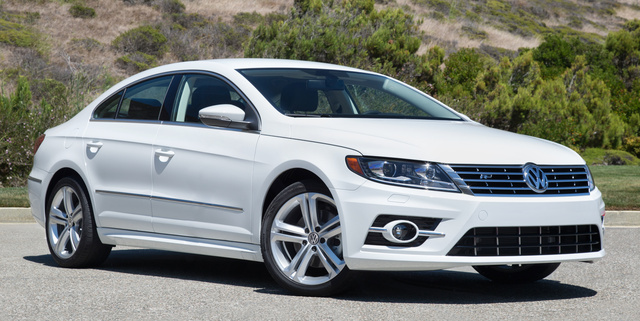 What's your take on the 2016 Volkswagen CC? Have you driven a 2016 Volkswagen CC?